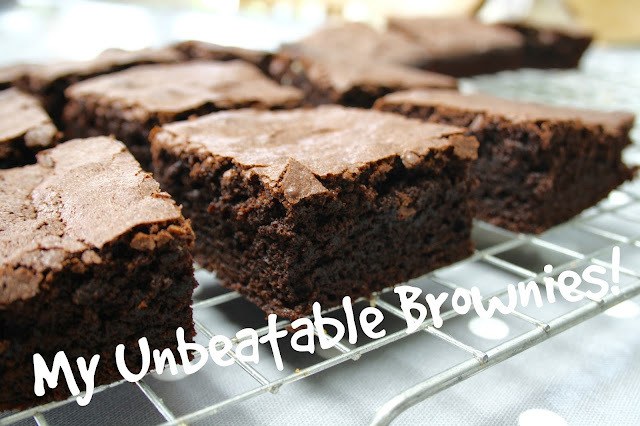 Hard and crunchy on the outside, soft and gooey on the inside - no, I'm not talking about my personality, I'm describing my unbeatable brownies! These delicious squares of chocolatey goodness are a big hit in my house! Today I'm going to share the recipe with you. Now, I have a reputation in my family for being a less-than-fabulous chef. 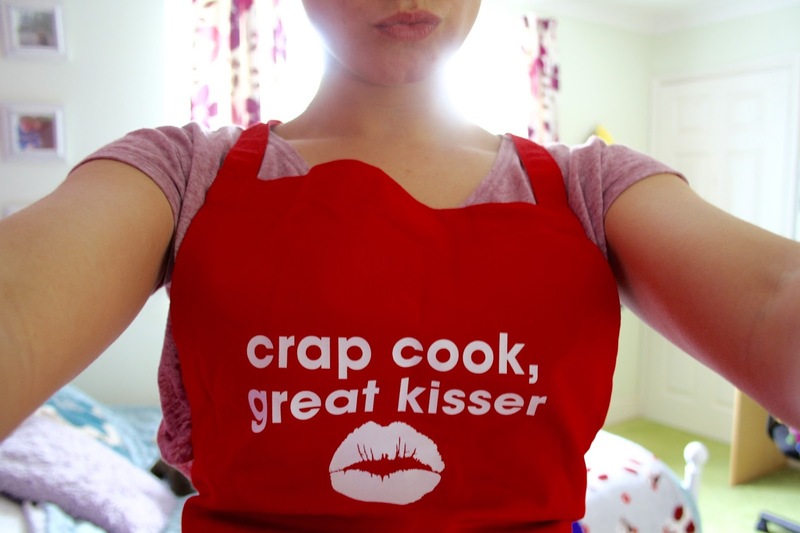 Hence why they gave me this apron as a present. Thanks for the encouragment, guys! But this recipe is so easy that even I can't mess it up, so if I can do it - you definitely can! This is the latest in my collaboration series with the wonderful Abbie from abbiechic.com. We work together on monthly posts called the Ab Fab Collab! To see our past posts, click here. This month, Abbie is sharing her recipe for a delicious rocky road with a twist, so if you haven't had enough sweet goodness after reading my post, definitely hit up her blog! Step One: Heat your oven to 180 degrees, 160 degrees in a fan oven, or Gas mark 4. 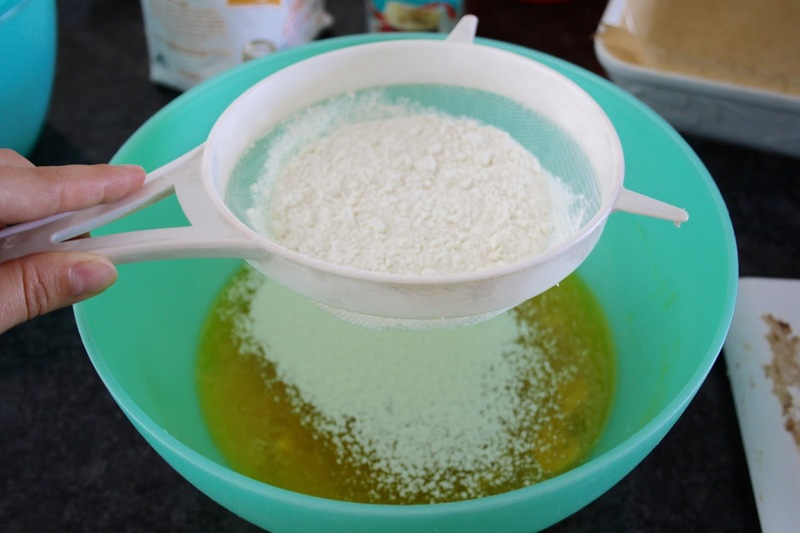 Then grab your cake tin, apply a thin layer of margarine to the bottom and sides. Use this to stick a sheet of greaseproof paper into your tin. Apply another thin layer of margarine on top of the paper. 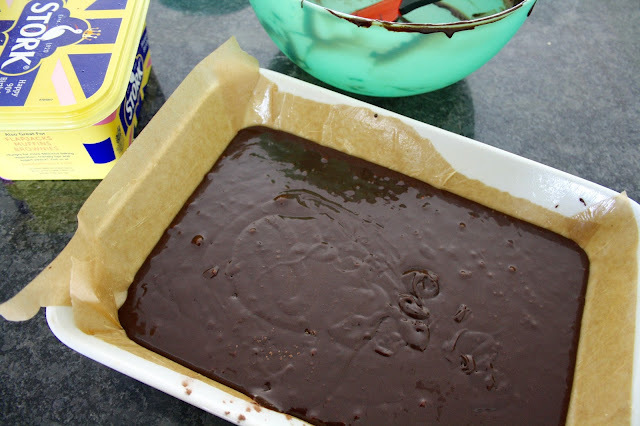 This will prevent your brownies from sticking to the bottom of the tin! Step Two: Put the 175g / 6oz of margarine into a microwave safe bowl. Microwave on 30 second increments until all of the margarine has melted and there are no big lumps. 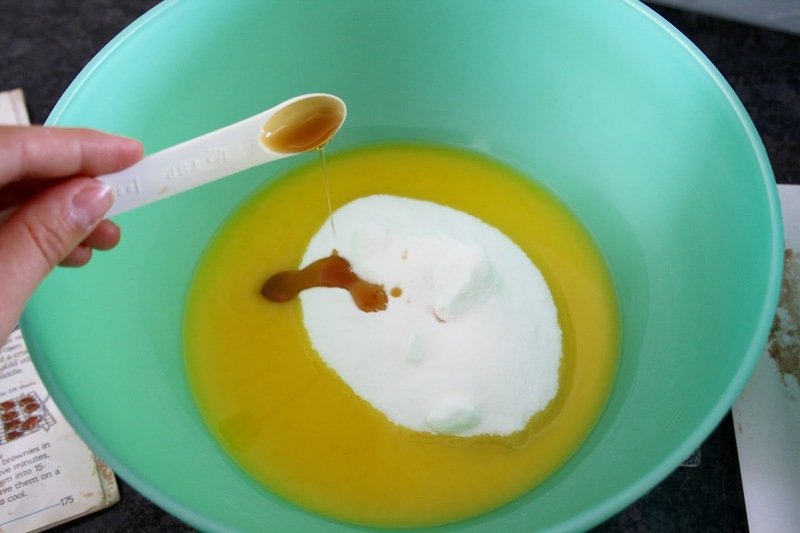 Then, add the sugar and vanilla essence to this bowl and stir in. Step Three: Break the eggs into a different bowl and beat them well. Then stir them into the mixture. Once the eggs are stirred in, sift in the flour, cocoa, and baking powder. Step Four: Mix everything together well. If you're a lazy chef like me, you can even use an electric whisk for this! 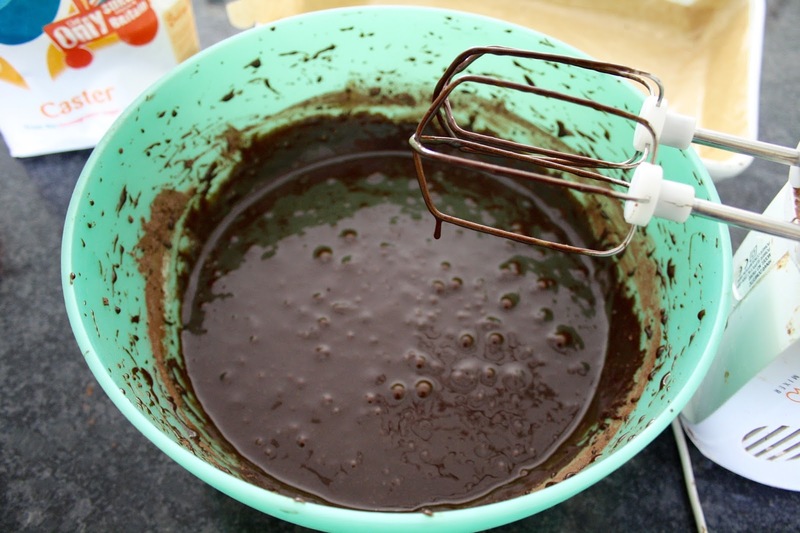 You can produce equally good brownies just through mixing by hand, so don't worry if you don't have access to a whisk! Step Five: Pour out the mixture into your lined cake tin. Use a spatula to scrape out the bowl so that you don't waste any! If you need to, level out the mixture in the tin with a spoon. Step Six: Place the brownies into the oven and bake for approximately 40 minutes. Once the brownies have risen a little, and a crust has formed on the top, they are cooked! They should still be soft in the middle. 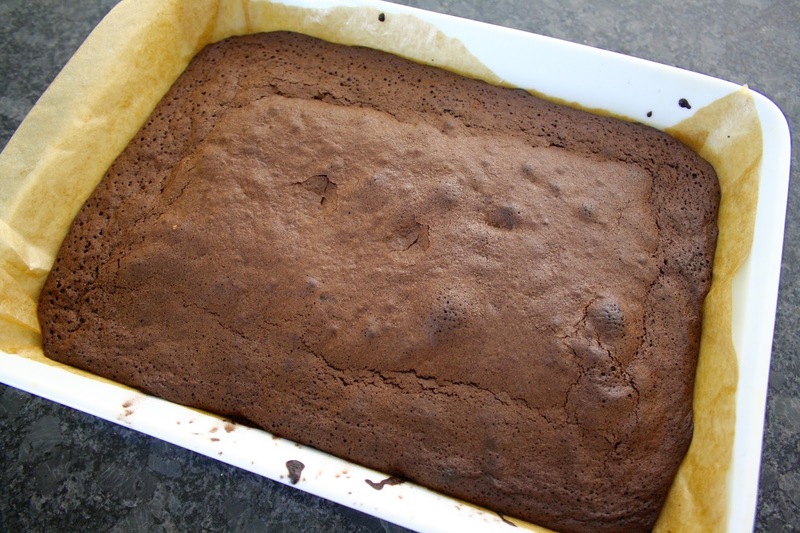 If your brownies look something like the below picture, they're ready to come out of the oven. Step Seven: Don't remove your brownies from the tin immediately - they may fall apart! Allow them to cool in the tin for at least 5 minutes. Then you can use the excess paper at the sides to pull the brownies out of the tin. After this, you can cut them up and enjoy! You may like to sprinkle a little icing sugar on the top for presentation. 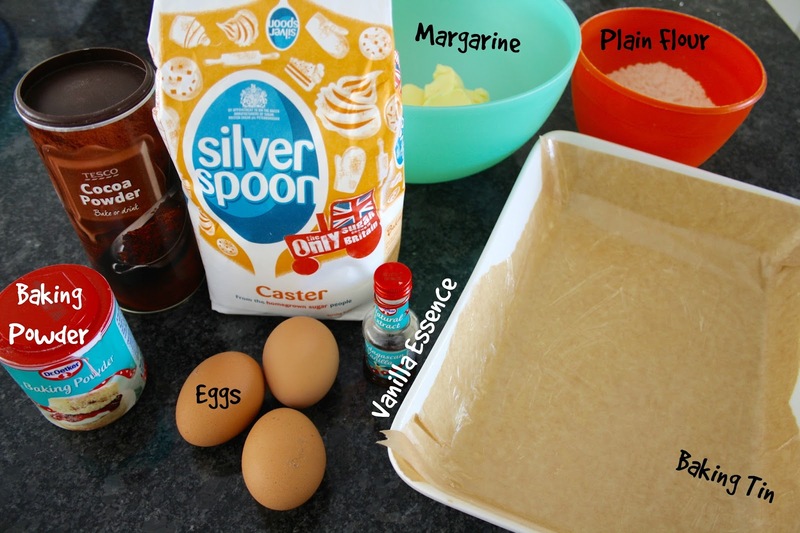 If you have a go at making these brownies, please tweet me a pic, or tag me on Instagram! I'd love to see! And don't forget to head over to Abbie's blog to read her chocolate-filled recipe! What are your favourite things to bake? Share in the comments.